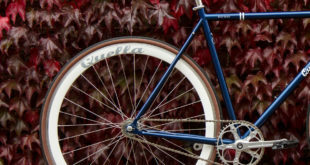 For the rest of our Core Bike 2012 guide and coverage, click here. Windwave will once again be located in the Lounge and will be representing BBB, Colnago, FSA, Marzocchi, A2Z and Ice Toolz products, among others. BBB designs and produces a comprehensive range of parts and accessories that are suitable for everyday riders to pro competitors. At Core Bike Windwave will be presenting the BBB range and the BBB sales concept. The BBB concept is a self-service retail system with smart, well thought out POS units designed to maximise sell though and promote multiple purchases. The pinnacle of the 2012 Colnago range is the handmade, carbon fibre framed C59 Italia. Campaigned successfully in this year’s Tour de France by Thomas Voeckler, the C59 offers the high technology crossed with classic Italian style. The best selling CLX model has been updated for 2012 with an updated tube set to accommodate a tapered head tube. FSA has introduced the 386EVO bottom bracket standard. The 386 EVO offers a one-crank-fits-all solution to all the confusing bb standards currently on the market. FSA’s product range has now become clearer with all products falling in to family groups, making it easier to supply cockpit products or matching customers existing components. New products for 2012 include the Afterburner, V Drive and Comet groups and the new Orbit Option angle adjustable headsets. Marzocchi is back with its strongest product line yet with models starting from £199 for the Marathon R to the championship winning and range topping 888RC3 Evo V2 Titanium. All models are backed up with an impressive three year warranty and with no compulsory servicing or funny maintenance routines to adhere to, Marzocchi is a ‘fit and forget’ suspension product for the market, says Windwave. Ice Toolz’s Hydraulic brake tool range and the new 180mm floating disc brake rotors from A2Z will be at Core too. Honey Stinger’s Stinger Waffle is equally suited to training and even for complimenting a morning coffee. It’s now available in three flavours: original Honey, Vanilla and new Strawberry. Honey Stinger bars and chews are formulated specifically for health conscious individuals and athletes seeking a great tasting energy snack made with up to 30 per cent honey. Princeton Tec’s Swerve rear bike light uses two high-powered LEDs flashing at an alternating rate to create a long beam pattern resulting in a high level of visibility. The large switch extends beyond the light allows for easy use even with a gloved hand whilst the flexible mounts fit any seatpost size. Chocolate will also bring Clement Tyres and Rolf Prima. The MT500 Spray Baggy shorts and three quarter-lengths combine the comfort of regular riding shorts and waterproof functionality, Endura says. The three quarter-length version are new for autumn/winter 2011 for extra coverage in the chill of the winter. The MT500 line also includes a Jacket, Burner Shirt and Overshoes, all of which are in new colours for this season. The Burner Shirt comes in two colourways: burgundy for the LS shirt and burnt orange for the version with three quarter sleeves. The Shirt is made from a fast wicking polyester fabric with super durable stretch panelling on sleeves and shoulders for protection. Find out more at the Core Bike Show at the Endura stand. 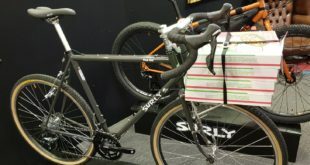 Polaris’ new Aquanought luggage range is waterproof and totally immersible up to a depth of two metres, the firm tells BikeBiz. To cut a long story short, this not inconsiderable feat means the range can take virtually anything the weather can throw at it from a measly drizzle to a raging torrent, both of which you can expect to see later this year. The range consists of four key styles, a courier bag, a back pack, a 40 litre holdall, and 110 litre trolley bag meaning that Polaris strives to have something for everybody. Available in a variety of colours, the Aquanought range in full will be on display on the stand so dealers are invited to see the brand in person for more information on those and the rest of the Polaris range. Merida will be squeezing as much as it can into the Hockenheim room at Whittlebury Hall, including a new Ninety Nine suspension platform which takes the place of the Ninety Six as a superlight cross county race machine. 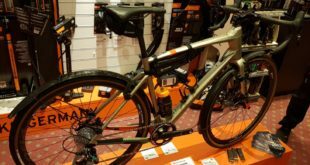 The Merida range includes road bikes like the Scultura 904 carbon road bike with 105 transmission at £1500, with an Ultegra Di2 model at £2,800. 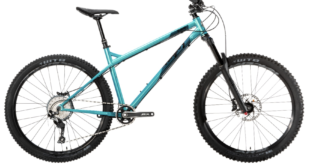 The line-up also includes a hybrid range that starts at just £299.99 and has a highlight of an up-specced £499.99 Crossway 100D, which gets a new techno formed frame and graphic treatment to compliment the 24-speed transmission, hydraulic brakes and lockout fork. The firm invites dealers to see Merida at the show to help celebrate its 40th anniversary. Sealskinz’s Core line-up will include cycle-specific gloves and socks, such as the Performance Road Cycle Glove (£40). These styled waterproof, breathable and windproof gloves includes a textured palm with lightweight padding and abrasion resistant Kevlar blend fabric. The Performance Mountain Bike Glove, meanwhile, retails at £60 and include solid individual knuckle protectors on the back of the hand. Pittard’s leather on fingers ends provide a sure touch and feel for changing gears or breaking. Sealskinz’s Thin Mid Length Sock retails at £28 and sports a fine Merino wool lining for excellent wicking performance. The Mid Weight Mid Length Sock (£30) is a medium weight waterproof sock to the mid calf. The ACT has been confirmed as guest exhibitor at Core Bike this year and will be on hand to answer any questions dealers have, whether about Ride It Away cycle finance, the newly launched WorkRiders cycling to work programme, Cytech technical and retail training or just a discussion about how ACT can help your business. Tony Jones will be on hand to update dealers on any of the services or answer questions. They will be located in the main reception area. Next iceBike* 2012: New bikes, P&A, clothing and free beer!